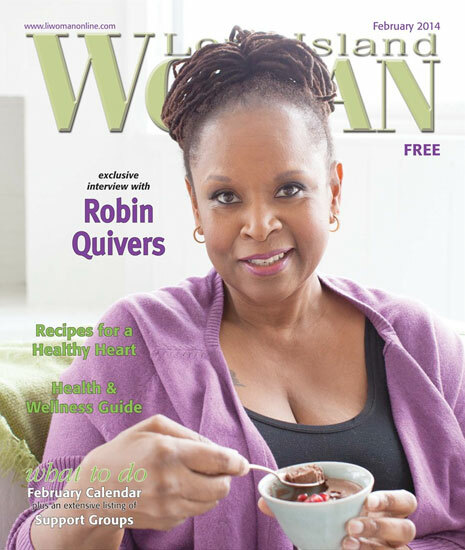 She has one of the most recognizable laughs on radio, and yet the past two years have been no laughing matter for Robin Quivers, the indispensable on-air sidekick to broadcast giant Howard Stern. No stranger to misfortune, Quivers had already endured a childhood marked by sexual abuse and an adulthood battling weight issues (including getting breast-reduction surgery only to have her chest later grow back to its original size). Also, owing to the nature of Quivers’ job, few aspects of her personal life could ever be private, since everything becomes fodder for the show and its not-exactly-gentle ridicule. However, 2012 threw the radio personality a bigger curve than she could ever have imagined. In May 2012, Quivers underwent a 12-hour surgical procedure to remove an endometrial tumor. Fifteen months of radiation and chemotherapy followed, during which she missed only two days on the air (by doing the show via remote). After hearing the golden words “cancer-free,” Quivers returned to the SiriusXM studio in early October of last year and resumed doing what she does best: being the perfect sounding board and voice of reason opposite the king of all media. However, there’s more to the 61-year-old air-force veteran and former nurse than the four hours a day she spends amidst Howard, Gary, Fred, celebrities, strippers and freaks. In addition to her Stern Show commitments, she’ll soon go back to hosting her own program, “Chatter,” on the Howard 101 channel; and, more importantly, she’s written her second book, “The Vegucation of Robin: How Real Food Saved My Life” (co-authored by Rachel Holtzman). It’s easy to jump to the conclusion that having cancer was the wake-up call that turned Quivers into a Pollyanna for healthy eating, but no. The book – whose first half tells of her journey towards healthier living and whose second offers numerous vegan recipes – makes clear that Quivers not only began her lifestyle change back in 2007, but she credits her cleansed, detoxed and vegetized system with getting her through treatment far more manageably than she could have hoped. Knowing her body inside and out was a key factor in Quivers’ bearable recovery. “One of the things you have to realize about cancer treatment,” she notes, “is that it’s really rigorous on the body and causes a great deal of stress. Not only do you have to address the fact that you have cancer, but you’re really doing some invasive and detrimental things to your body in order to rid yourself of the cancer. You need to compensate for that, and one way is to eat a really good, nutrient-dense diet. But you also need to relax and calm yourself. I had a Reiki master come once a week and learned to do Reiki on myself while I was undergoing treatments. I also had reflexology since I couldn’t get full-body massages because of my temporary ileostomy. I meditated. So I did things to make sure that, spiritually and emotionally, I was taking care of myself. Quivers takes special pride in the quick rebound because she’d been in the exact opposite shape before starting her new lifestyle. “I was overweight, I smoked, I had frequent panic attacks,” she wrote in “The Vegucation of Robin.” “My fingers always tingled, and my circulation was so bad that I didn’t even register on the heat screen at the bank. I had to use my elbow!” She credits magician David Blaine with sparking the idea that cleansing her body might ease many of her complaints. After a weeklong stint of drinking lemon juice and cayenne pepper, she felt terrific. However, then it was time to start eating again, and she went back to her old habits – and her many aches and ailments. Eventually, the realization sank in that if she ate healthy all the time, she’d be healthy all the time. Narrowing her diet to juices and vegetables did the trick. After laughing uproariously at the memory, Quivers could not be more serious in recalling the ways her closest confidante was there for her throughout her medical ordeal. “Howard was the first person I reached out to. He’s always the first person I reach out to in any kind of special situation or problem situation. This time, I was only looking for a doctor recommendation, and I knew he’d be there for me. That wasn’t ever a question in my mind. The way he was there for me just overwhelmed me. Just thinking about it would bring me to tears. He was just so worried, and it was so important to him that I get better and get what I needed. Adele’s “Set Fire to the Rain,” Jay Z’s “Holy Grail,” and “The Royal Scam” by Steely Dan. New York is my favorite-favorite. My other favorite city is London. I’m a big tennis fan, and my favorite player right now is Rafael Nadal. For football, I usually jump between the Jets and the Giants depending on who’s winning. This year, it’s sort of the Jets. I wish the Giants were playing better; I really love them! Arnold Schwarzenegger. Because he was a huge star, and he was one of the first that ever paid us any attention. He didn’t care what the rest of the world was saying. He was like, ` That’s a good place to promote; I get a good interview over there, and their audience is huge.’ So he ignored the world that was saying, `Don’t go there, they’ll rip you apart.’ He would come and see us every time he put out a movie. It’s a tie between Amy Fischer and O.J.! Even before the murder trial, we knew he was violent with women. He’d had a couple of arrests and cases of domestic violence, but we acted as if that didn’t happen. We just went `whooo O.J. !’, and I really regret that. And Amy Fischer because she’s sort of unrepentant. David Lefkowitz co-publishes Performing Arts Insider (TotalTheater.com), hosts Dave’s Gone By (davesgoneby.org) on UNC Radio, edits the theater section of Stagebuddy.com, and co-created Shalom Dammit! An Evening with Rabbi Sol Solomon (shalomdammit.com).